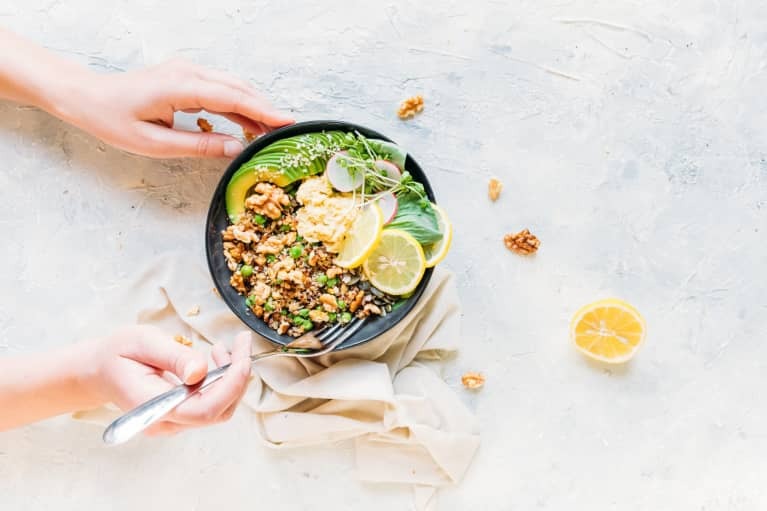 Whether it's sharing secrets over an al fresco meal, sitting down for a family dinner, or bonding with a buddy over the latest health fad, food brings people together. But with so many different dietary needs, it can be hard to satisfy everyone. 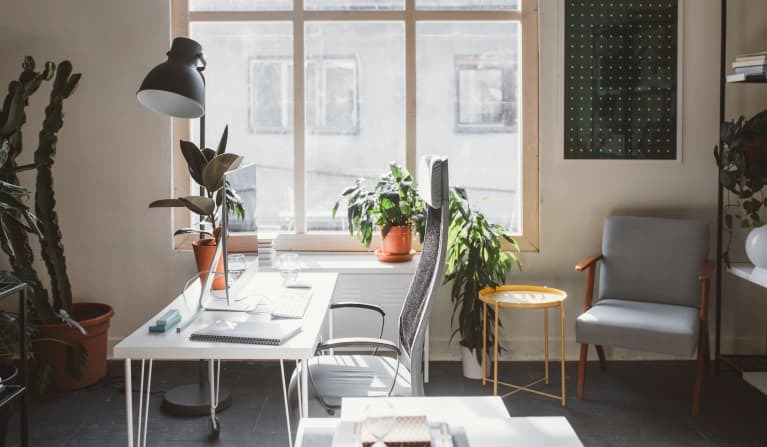 That’s why we've teamed up with Mouth, a website dedicated to artisanal foods, beverages, and treats, to make life a little easier. 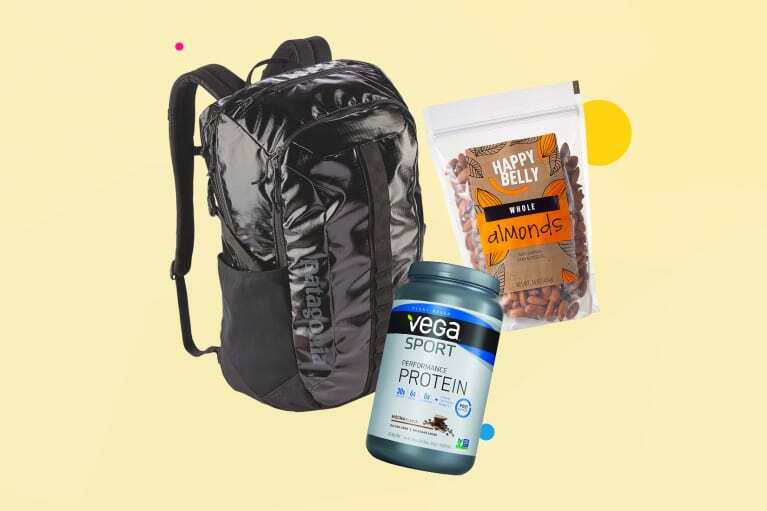 We handpicked some of our favorite vegan, gluten-free, and Paleo-friendly snacks to accommodate any nutritional needs. Don’t be surprised if you end up winning the award for "host of the year" with these foodie favorites — which also make great gifts! 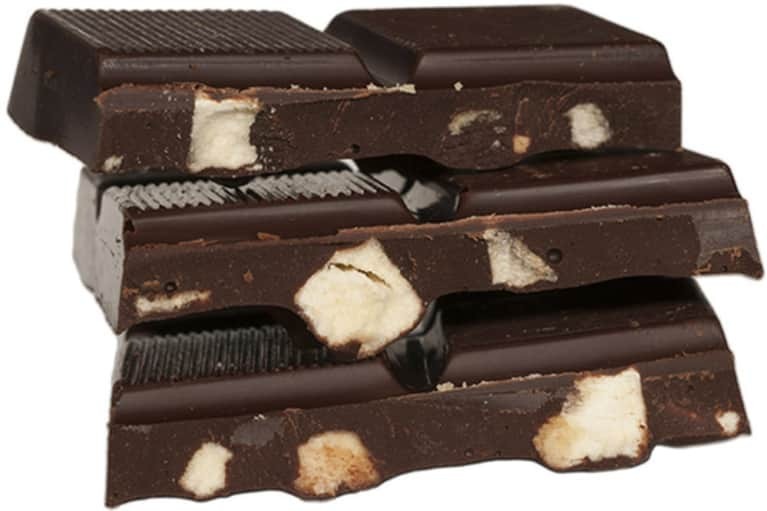 What tops the ultimate combination of peanut butter and chocolate? Not much in our book. 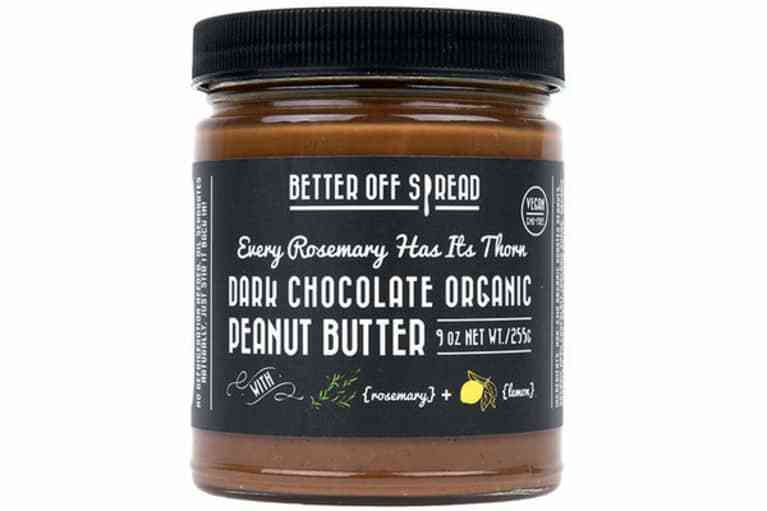 Rosemary Chocolate Peanut Butter, which can be eaten by the spoonful or as a topping, puts a spin on the classic snack with its addition of rosemary, lemon, and sea salt. Stumped about how to make a savory yet health-conscious cocktail? 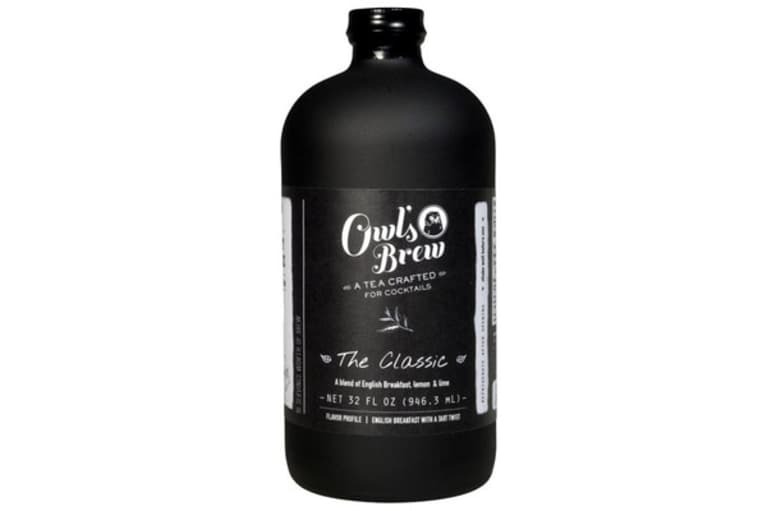 Owl’s Brew Tea Cocktail Mixer is the perfect solution. Just mix part of your favorite spirit with this tart English breakfast potion, and voilà! You have a fancy tea-tail. Popcorn is one of the easiest snacks but can sometimes fall short of titillating our taste buds. 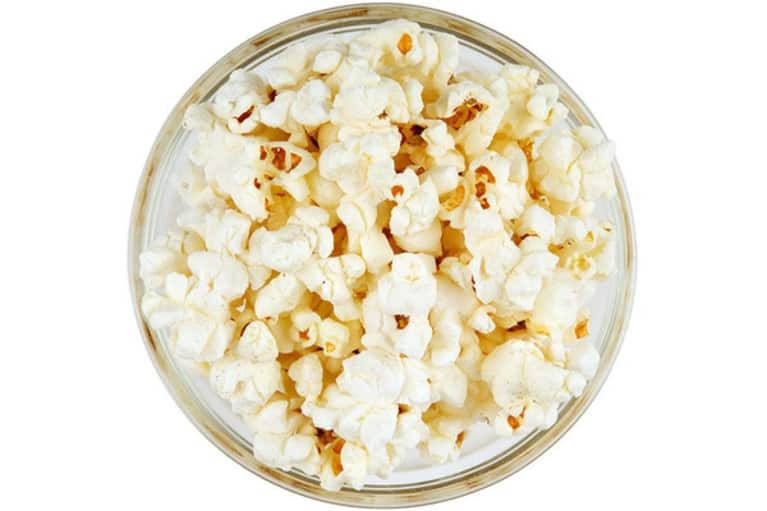 Black Truffle Popcorn mixes sweet, salty, and savory by combining truffle with kettle-cooked kernels. It’s an effortless and scrumptious snack that’s both gluten-free and vegan. 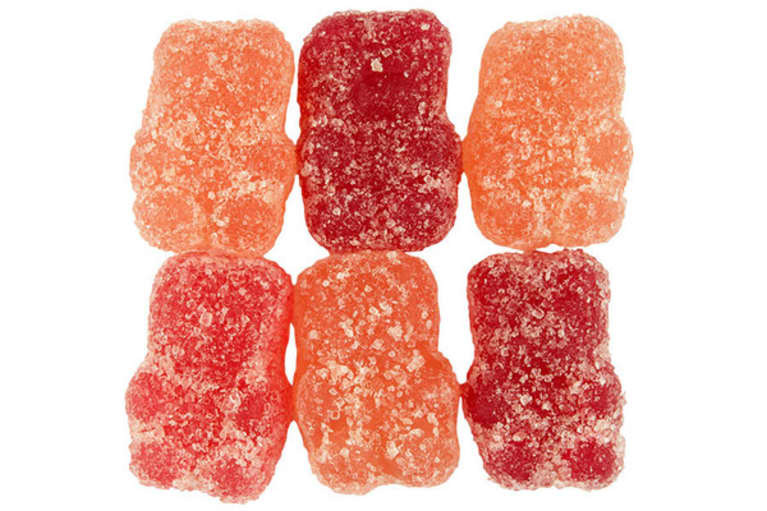 Sugary sweets just grew up with this take on gummy bears. The Organic Gummy Bears available on Mouth are made from carefully sourced ingredients and are crafted with pectin instead of gelatin. 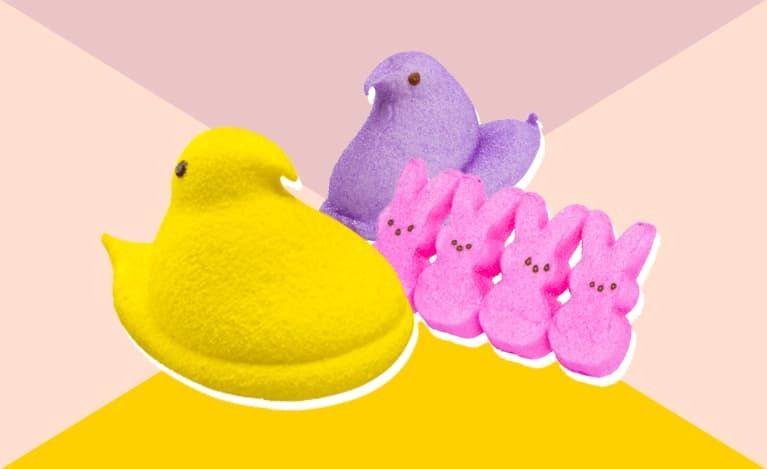 They are a vegan, vegetarian, and gluten-free candy for those with a sweet tooth. 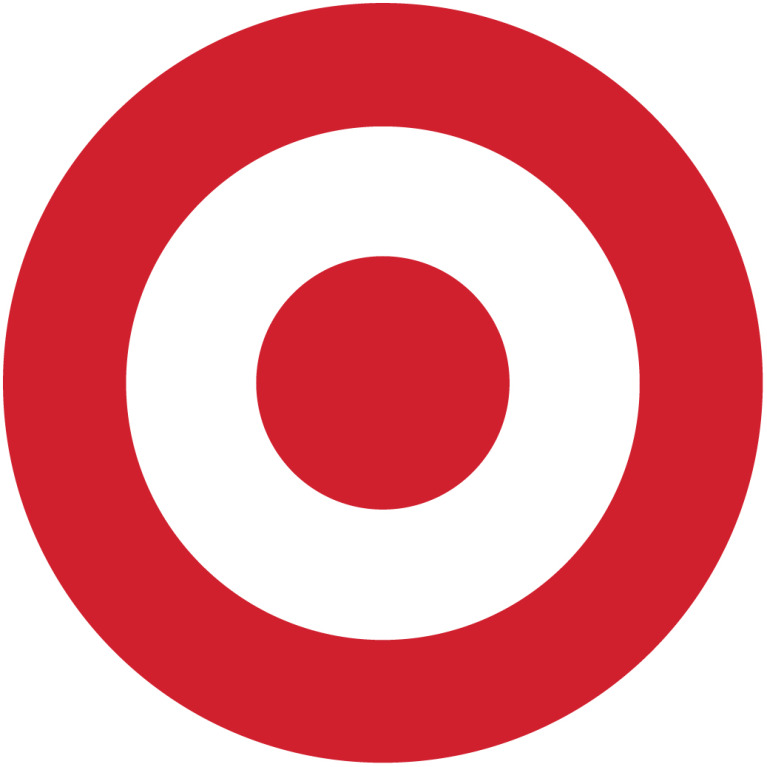 The same on-the-go snacks can become stale after a while. 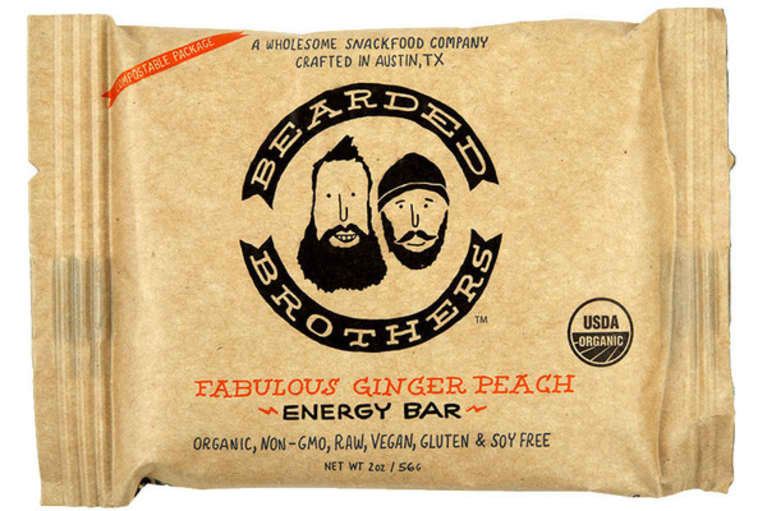 The Peach Ginger Energy Bar is an easy way to mix things up. This tasty treat combines two bold flavors — peach and ginger — for one mouthwatering vegan and organic goodie. Looking for the perfect “surf and turf” snack? 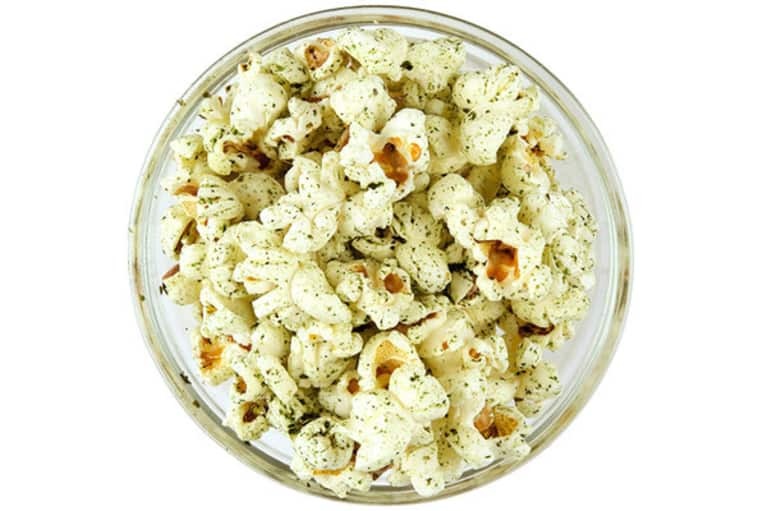 The vegan-friendly and gluten-free Nori Popcorn is a unique blend of toasted seaweed (nori), sesame seeds, salt, and sugar for a gourmet take on popcorn. Vodka is known as a universal alcohol — it mixes well with almost anything. But it’s sneakily made with grains, making it an unsuitable spirit for the gluten-sensitive. 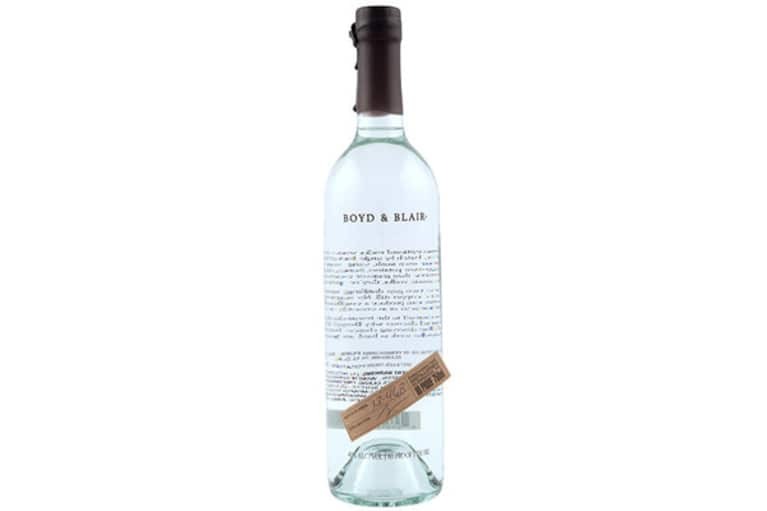 Potato Vodka is a great alternative for those who are vegan and gluten-free. Pumpkin season isn’t over yet. And the Gluten Free Berkshire Granola is a great way of satisfying a fall-loving foodie. 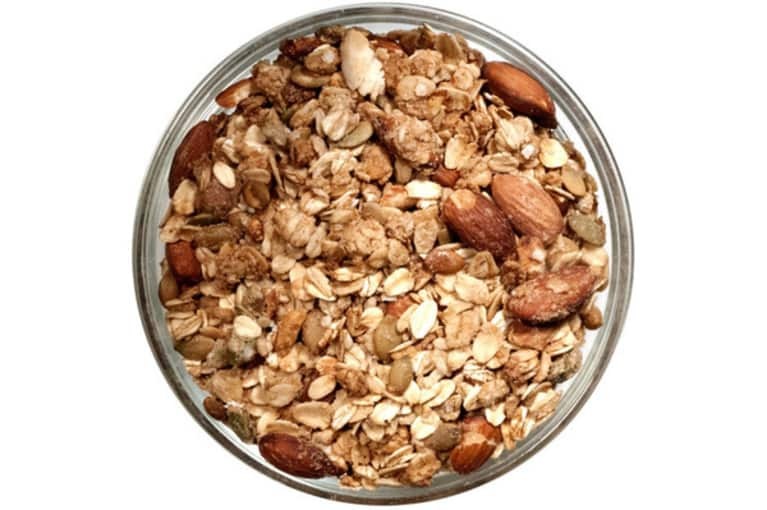 Mixing tender oats, sweet almonds, pumpkin seeds, and a bit of brown sugar, this gluten-free, fiber-filled, vegan snack makes for a hearty breakfast or an on-the-go bite. 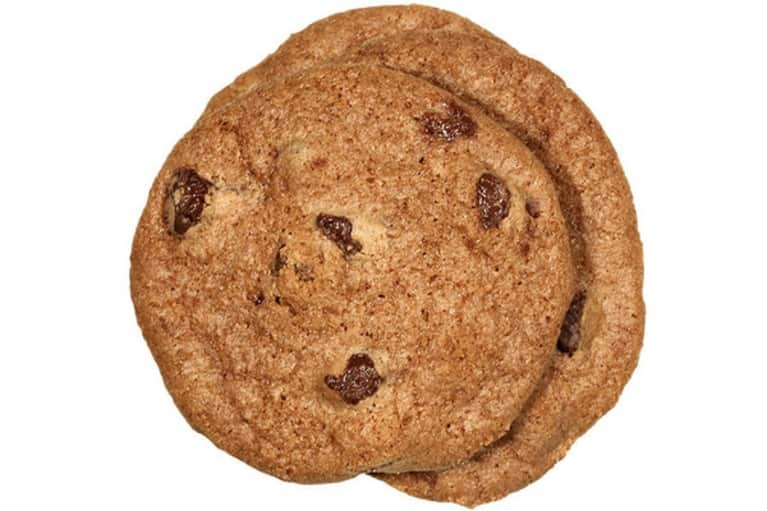 Gluten-free cookies can be oh-so-hard to find. But your guests will never guess that’s the secret behind Tate’s Gluten-Free Chocolate Chip Cookies. These crisp and buttery baked goods taste even better than the original version. Don’t believe us? Try them for yourself! Want to ditch potato chips? 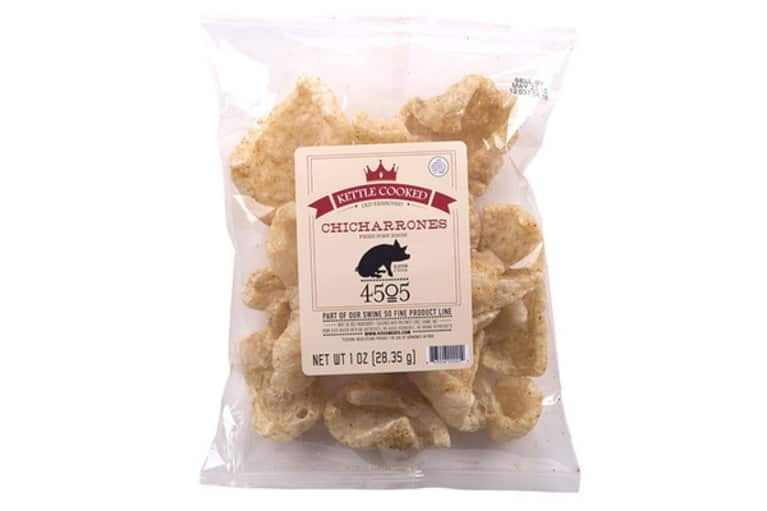 Kettle-Cooked Spicy Pork Skins may be able to fill that sacred spot. This gluten-free delight is packed with "secret" seasonings and, despite the name, melt in your mouth. Plus, they are antibiotic-free! Looking for a quick and meaty snack but scared of preservatives? 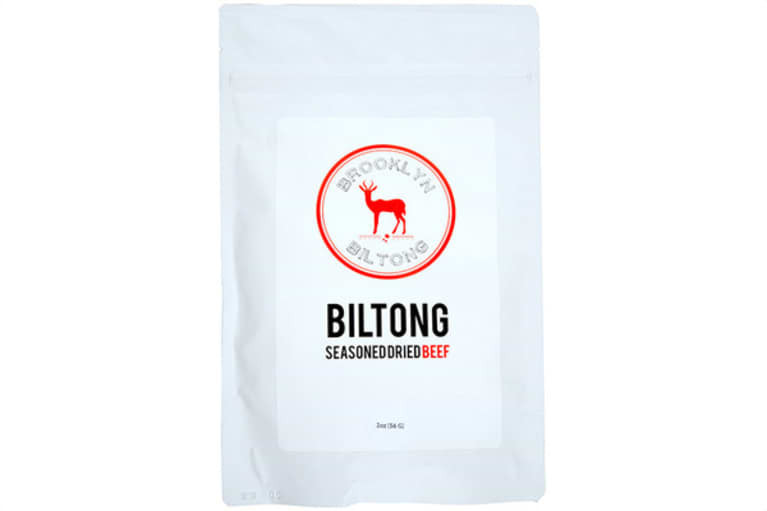 The Grass-Fed Biltong Jerky is simply pure dried grass-fed steak seasoned with vinegar, salt, pepper, and coriander. These flavor-packed South African snacks are sugar-free in addition to being gluten-free and Paleo-friendly. Peanut butter lovers can rejoice with Mission Almond Butter. 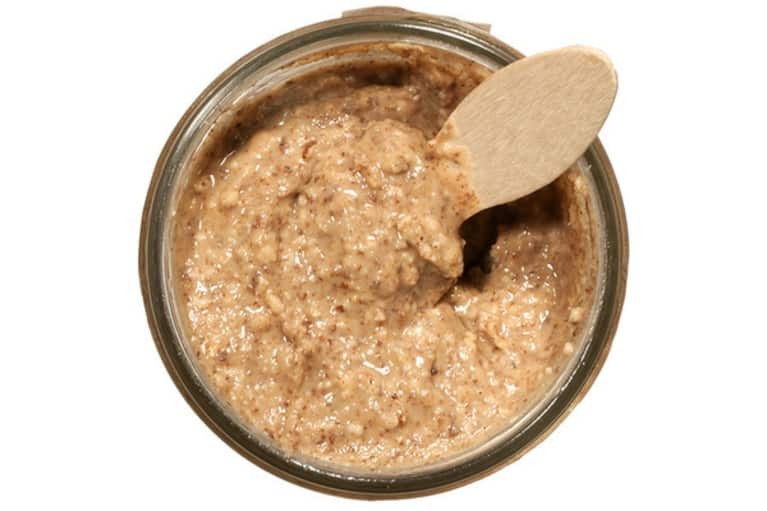 This nutty spread has the texture of your favorite peanut butter but is Paleo-friendly. 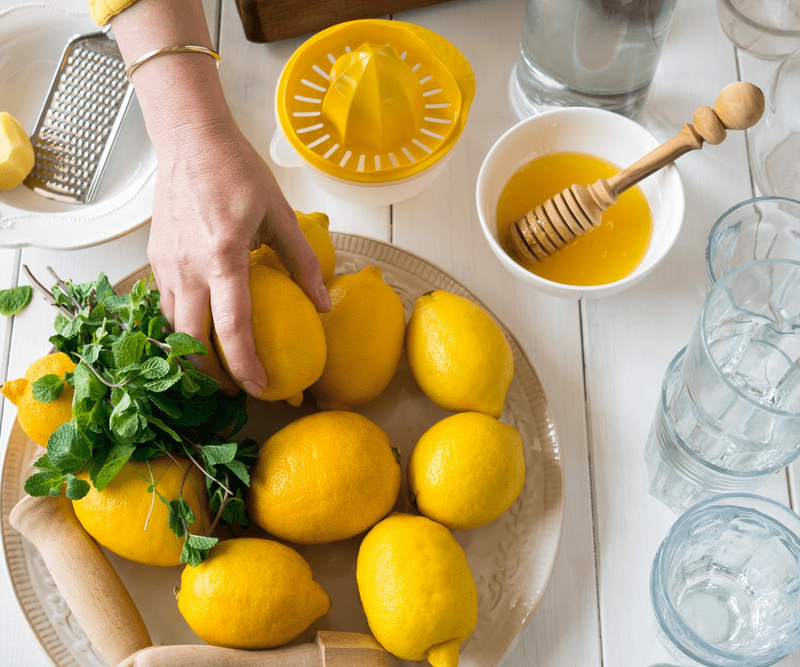 Plus, it’s only mixed with wildflower honey and sea salt, making it a wholesome snack that you can add to, well, almost anything your heart desires. Craving something new and tangy? 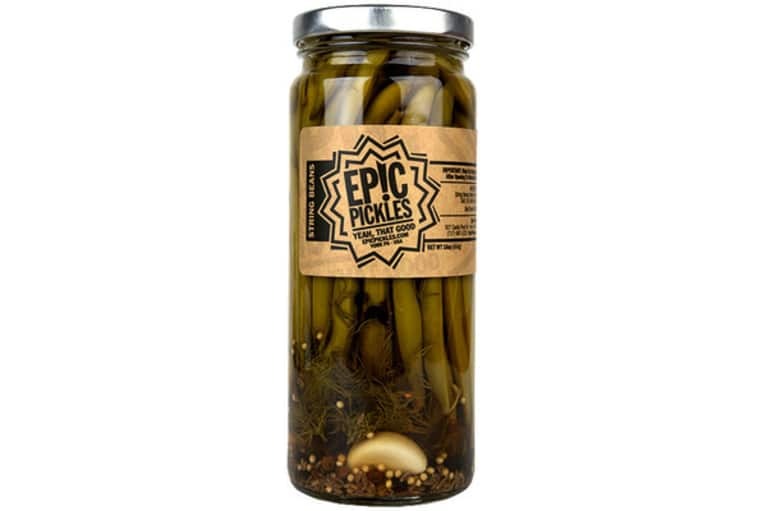 Pickled String Beans are a crunchier take on the classic pickle. They are Paleo-friendly, vegan, and make a vibrant addition to a sandwich…or Bloody Mary. When you think pesto, you may think pasta. 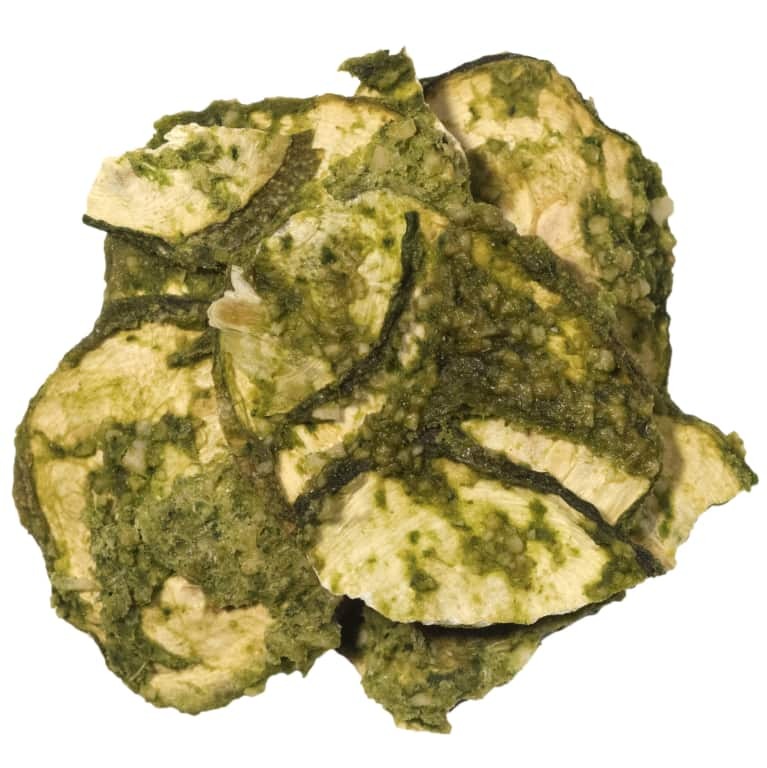 But the pine nut and basil combo mixes just as well with zucchini, creating these uniquely-flavored Pesto Zucchini Chips. Not only are these snacks Paleo, they are raw, vegan, and organic. Great for a treat anywhere, anytime! It sounds unimaginable that a sweet treat free of sugar, soy, gluten, GMOs, and dairy could actually be satisfying. But Hu Kitchen's vegan Crunchy Banana Chocolate Bar proves it is possible. Plus, it’s only made of three ingredients — cacao, organic coconut sugar, and organic banana.